Morrigan Crow is cursed. Born on an unlucky day, she is blamed for all local misfortunes, from hailstorms to heart attacks - and, worst of all, the curse means that Morrigan is doomed to die at midnight on Eventide. But as Morrigan awaits her fate, a strange and remarkable man named Jupiter North appears. 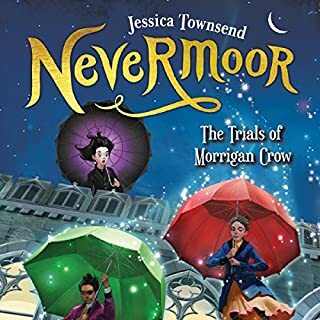 Chased by black-smoke hounds and shadowy hunters on horseback, he whisks her away into the safety of a secret, magical city called Nevermoor. Once there was magic, and the magic lived in the dark forests. Until the warriors came... 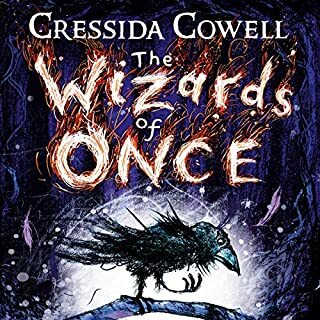 This is the story of a young boy wizard and a young girl warrior who have been taught since birth to hate each other like poison and the thrilling tale of what happens when their two worlds collide. Xar is a wizard boy who has no magic and will do anything to get it. Wish is a warrior girl, but she owns a banned magical object, and she will do anything to conceal it. Orphan Elizabeth Somers’ malevolent aunt and uncle ship her off to the ominous Winterhouse Hotel, owned by the peculiar Norbridge Falls. 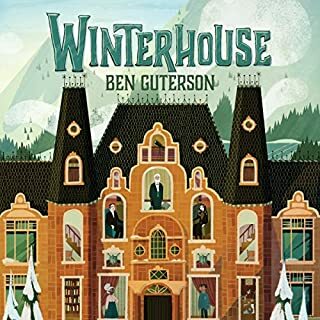 Upon arrival, Elizabeth quickly discovers that Winterhouse has many charms - most notably its massive library. It’s not long before she locates a magical book of puzzles that will unlock a mystery involving Norbridge and his sinister family. Before the battle of the SandWing queens; before the prophecy and the dragonets sent to save Pyrrhia from endless war; a long, long time ago...evil was born. 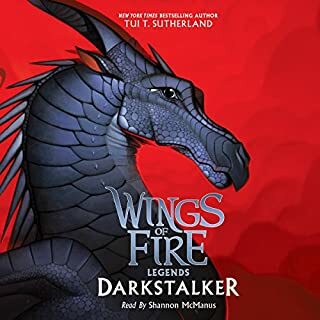 In alternating chapters this Wings of Fire special edition takes listeners back to the very beginning, when powerful, mythical dragons Clearsight, Fathom, and Darkstalker - the most dangerous dragon of all - were just dragonets. When the future was bright and uncertain, when no one had been betrayed or had their heart broken. Magnus Chase has always been a troubled kid. Since his mother's mysterious death, he's lived alone on the streets of Boston, surviving by his wits. One day he's tracked down by an uncle he's never met - who tells him an impossible secret: Magnus is the son of a Norse god. The Viking myths are true. The gods of Asgard are preparing for war. Trolls, giants and worse monsters are stirring for doomsday. To prevent Ragnarok, Magnus must search the Nine Worlds for a weapon that has been lost for thousands of years. didnt know how to pronouce words! Five years. That's how long Coyote and her dad, Rodeo, have lived on the road in an old school bus, crisscrossing the nation. It's also how long ago Coyote lost her mom and two sisters in a car crash. 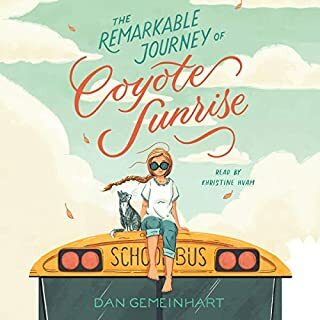 Coyote hasn’t been home in all that time, but when she learns the park in her old neighborhood is being demolished - the very same park where she, her mom, and her sisters buried a treasured memory box - she devises an elaborate plan to get her dad to drive 3,600 miles back to Washington state in four days...without him realizing it. Seventh-grader Jordan Banks loves nothing more than drawing cartoons about his life. 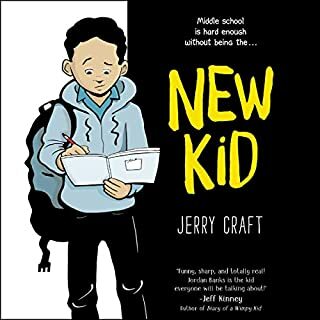 But instead of sending him to the art school of his dreams, his parents enroll him in a prestigious private school known for its academics, where Jordan is one of the few kids of color in his entire grade. 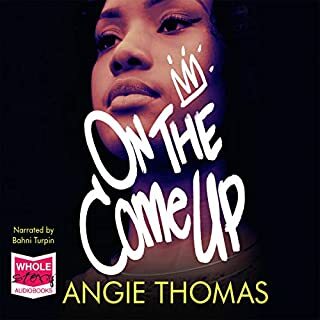 As he makes the daily trip from his Washington Heights apartment to the upscale Riverdale Academy Day School, Jordan soon finds himself torn between two worlds - and not really fitting into either one. 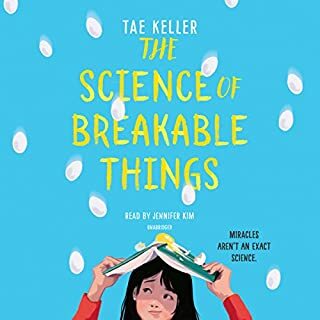 When Natalie's science teacher suggests that she enter an egg drop competition, Natalie thinks that this might be the perfect solution to all of her problems. There's prize money, and if she and her friends win, then she can fly her botanist mother to see the miraculous Cobalt Blue Orchids - flowers that survive against impossible odds. Natalie's mother has been suffering from depression, and Natalie is sure that the flowers' magic will inspire her mom to love life again. 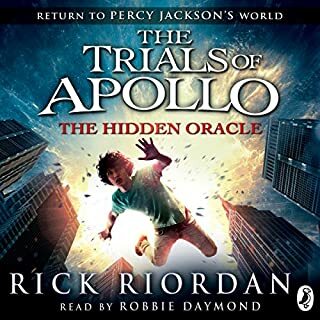 Penguin presents the unabridged, downloadable audiobook edition of The Hidden Oracle: The Trials of Apollo, Book One, by Rick Riordan, read by Robbie Daymond. How do you punish an immortal? By making him human. After angering his father, Zeus, the god Apollo is cast down from Olympus. Weak and disorientated, he lands in New York City as a regular teenage boy. 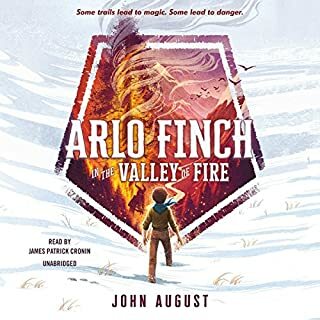 Arlo Finch is a newcomer to Pine Mountain, Colorado, a tiny town of mystery and magic, but he has already attracted the attention of dark and ancient forces. At first he thinks these increasingly strange and frightening occurrences are just part of being in Rangers, the mountain scouting troop where he learns how to harness the wild magic seeping in from the mysterious Long Woods. But soon Arlo finds himself at the center of a dangerous adventure, where he faces obstacles that test the foundations of the Ranger's Vow: Loyalty, Bravery, Kindness, and Truth. A great adventure series in the making. Identical twins Fifer and Thisbe Stowe have amazing yet uncontrollable magical abilities. They're naturally more gifted than even their brother, Alex, the head mage of Artimé, could hope to be. But when they accidentally use their magic in the jungle of Artimé to strike down a beloved creature, Alex is furious and threatens to lock them away until they can learn to control their power. Bri wants to be one of the greatest rappers of all time. As the daughter of an underground hip-hop legend who died right before he hit big, Bri’s got massive shoes to fill. But when her first song goes viral for all the wrong reasons, Bri finds herself at the centre of controversy and portrayed by the media as more menace than MC. And with an eviction notice staring her family down, Bri no longer just wants to make it - she has to. Even if it means becoming the very thing the public has made her out to be. 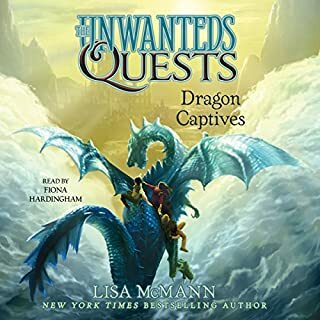 A new middle-grade fantasy series packed with action and adventure, perfect for fans of Rick Riordan and Soman Chainani. Meet Kiranmala: interdimensional demon slayer (only she doesn't know it yet). On the morning of her 12th birthday, Kiranmala is just a regular sixth grader living in Parsippany, New Jersey . . . until her parents mysteriously vanish and a drooling rakkhosh demon slams through her kitchen, determined to eat her alive. 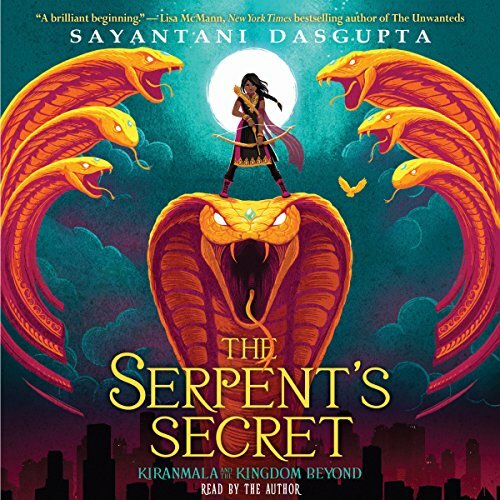 Turns out there might be some truth to her parents' fantastical stories - like how Kiranmala is a real Indian princess and how she comes from a secret place not of this world. ©2018 Sayantani DasGupta (P)2018 Scholastic Inc.
Could not stand the reader. Was bad enough I could barely listen to the book. Felt like I was in kindergarten being read too, both story and narration very child like and slow. Don’t know why audible would have put in my recommendation list. If I come off as too harsh in the below it's because I had high expectations for this book that weren't met. Too high. I read some reviews on book review sites calling it "Indian Harry Potter". And loving Harry Potter I rushed to buy it hoping for a decade worth of new books to enjoy. Sadly that exaggerated claim was one it could not live up too. To summarise, overall it's a decent read for children. May even be a excellent read for children - if I was a parent reading this to my child I may have given it a 4 stars. But if you are an adult like me, and someone has told you its basically Harry Potter but with Indian Mythology, then they have missed that the tone isn't as wide ranging as Harry Potter. This is a young children's book, and adults looking for next HP should keep looking. The audio book is very well narrated. I was concerned to see it was the author narrating, but fears were unjustified as her delivery fantastic. I don't know if she has experience in voice work or not, but she's solid. Grammar and story structure is fine. There's a lot creative ideas here and children should enjoy it. Not 30 pages in we are introduced to the 2 love interests. Both are 12 year old supernatural super-model attractive Princes. But they are not perfect, oh no, for the most "dreamy" one has a bent eyelash, and the other is brooding with a tragic story for the lead to uncover and emotionally heal. I honestly got vibes of Twilight's Bella, Edward and Jacob love triangle here, and wondered if this book started off as Twilight fanfiction, or at least was influenced by it. I put it out of my mind until page 100 odd, when the author gives a wink-wink that this probably was the case. One of the Prince's (who isn't from Earth and I wouldn't think should know about American pop culture) starts making jokes about sparkly vampires, to which the lead says that Twilight is her favourite book series. So yeah, the Twilight overtones are acknowledged. Again with the Harry Potter comparison, at age 12 the HP trio weren't thinking of romance, they were fighting a Basalisk. HP waited for the characters to age before bringing in romance. Certainty HP didn't spend time emphasising how attractive its 12 year old characters were. I just felt a little uncomfortable reading it here. But I suppose this is part of me bring the wrong audience. Little girls will probably lap up the "dreamy" Pre-teen Princes. As well as Twilighy jokes, the book does have a number of modern cultural nods that date the story. Harry Potter is set in the 90s but does its best not to discuss 90s culture so future audiences aren't left out of the references and could imagine it set in the 2010s, 2020s etc when they come to read it. It's timeless. This book's jokes about Twilight, selfie-taking demons etc place it firmly in the 00s. It just feels cheesy, and detracts from that timeless quality. The last Twilight book was published in 2008, and movie released in 2012. It was a fad that pre-dates the birth of this book's key audience. Audiences now may get it, but those reading it 10 or 20 years from now likely wont. The humour was also aimed very young. There's a recurring joke about the lead being Princess "Just" Kiran that goes on too long. And a lot of the other worldly creatures go overboard with silly rhymes that take the tension out of the scenes. Plus there's jokes about Mustouche theft and other weirdness, and characters calling each other childish insults like "fart-faces" etc. It's key audience is probably children around the age of the protagonists (12) or younger. In the end I really struggled to finish this. The problem, as I said the opening, that this book is aimed a pre-teens, and isn't really catering to a wider audience. The reviews that directed me to it did this story a disservice by comparing it so heavily with Harry Potter, something it cannot live up to. I saw some reviews also compare it favourably to Percy Jackson. I never read those books, but saw 2 bad movies. 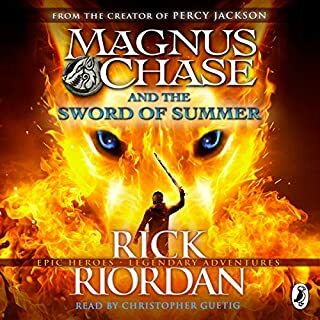 And yes, on that issue, I enjoyed this audio book more than the Percy Jackson movies.